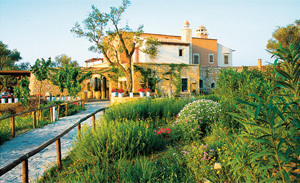 Grecotel performs eco-auditing in its hotels. On the basis of its findings, improvements have been made in the following fields. Protecting and highlighting natural, historical and cultural locations or monuments. On a 4-hectare estate near Rethymno, Grecotel’ s traditional Cretan farm provides a fascinating insight into the organic production of the island’s simple and healthy food.